In the Spring of 2011 I spent about a week consuming dangerous amounts of caffeine and sugar in order to spew out what I call a draconity guide. I have since updated the guide semi-annually with it''''''''s most recent improvement having been in the summer of 2016. I wrote it in order to share my personal experiences and advice with newly awakened otherkin. It exists in a roughly sixty page long pdf format and covers an immense variety of topics in five Sections. Section one being the spirituality of otherkin. Section two being the social implications of draconity. Section three being the psychology of otherkin. Section four being useful advice and quotes. Section five being an addendum consisting of past opinions and advice. The topics of each category are listed within a contents section at the start of the guide. 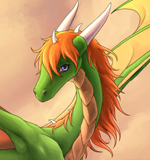 Due to the fact that I have been a lurker for several years and do not speak with many other dragons outside of those few who have stumbled upon me in the past, criticism and critique of this guide is highly encouraged! I would rather be told that I have been wrong or opinionated on some subjects then to risk leading newly awakened kin astray from their natural paths. I hope this guide may be of some use, it is a work in progress and is subjective, take everything with a grain of salt and work to find your own path.